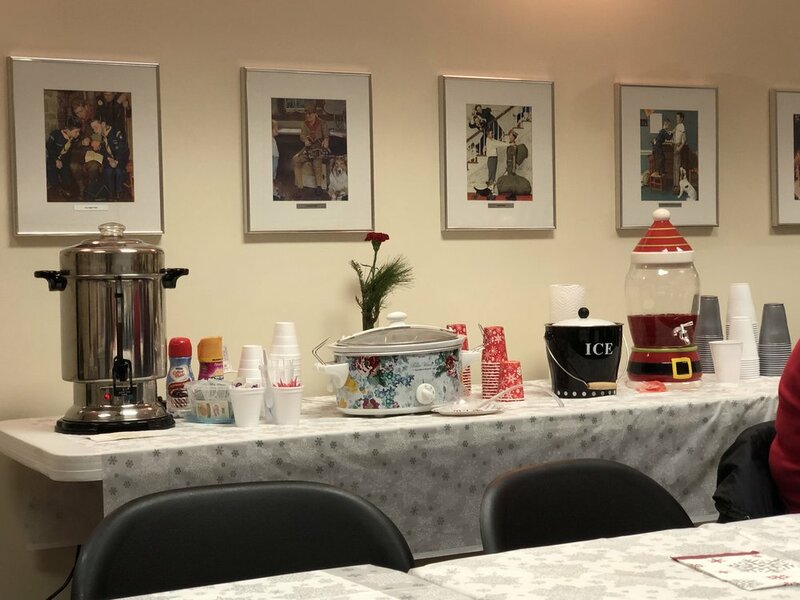 Our annual Christmas Potluck was a blast! 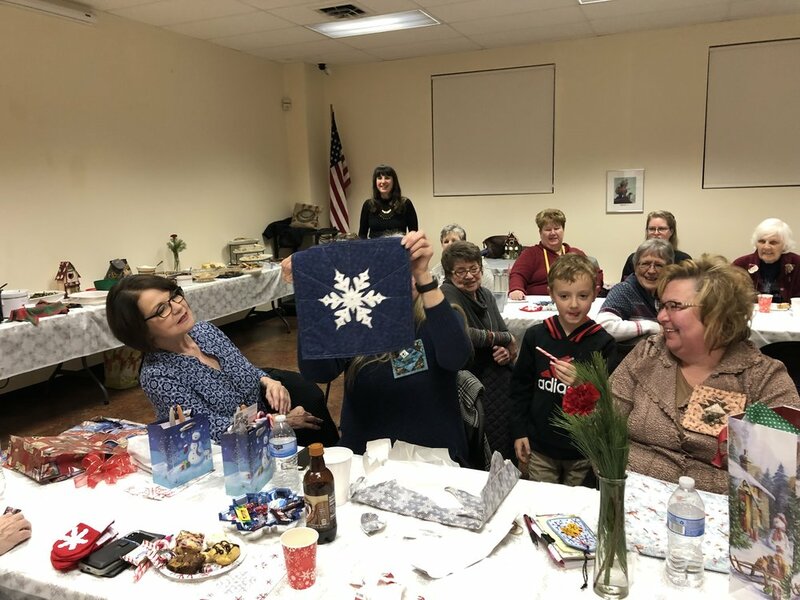 We feasted on homemade treats and swapped blue and white snowflake blocks! 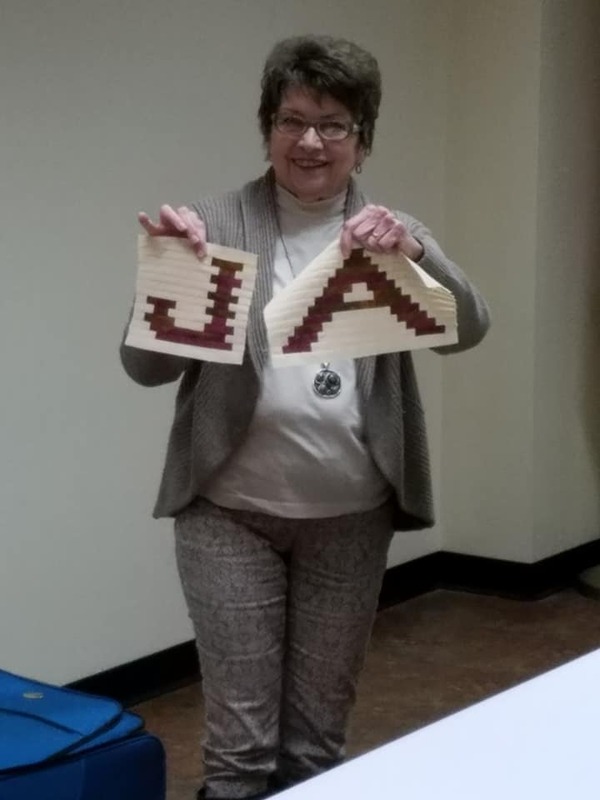 Heather Jones taught us a cool way to make pieced letters! Heather Jones presented a wonderful program! We held a Quarter Auction and it was a blast! 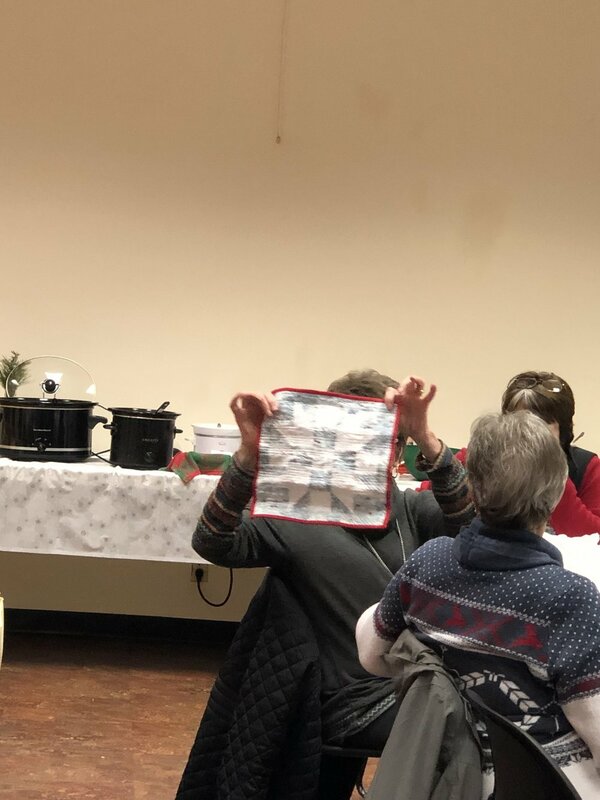 Deanne Eisenman of Snuggles Quilts presented an entertaining program! We had a fat quarter swap for the yearly challenge. This year’s is called “Floral Fancy”! 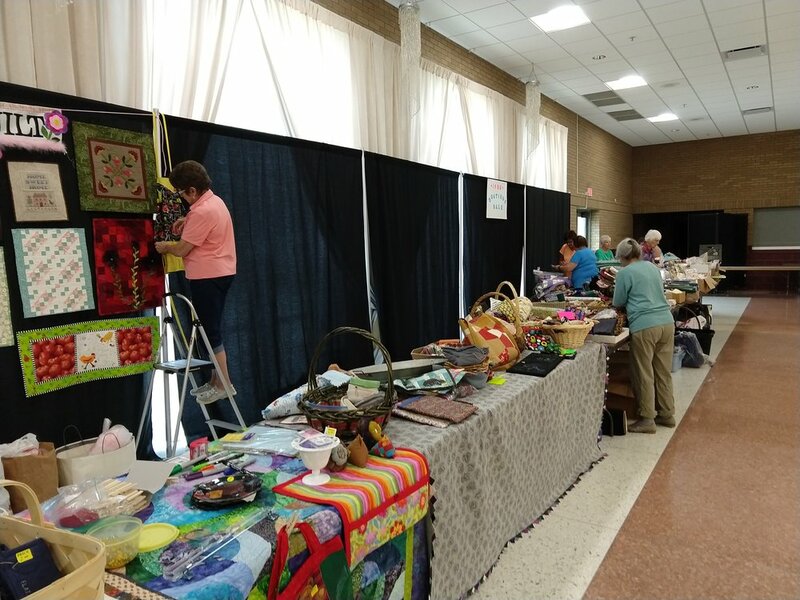 2018 Quilt Show-Work and Fun! We were busy bees during this meeting to wrap-up all the preparations for the Quilt Show! We even had a delicious ice cream sundae bar! 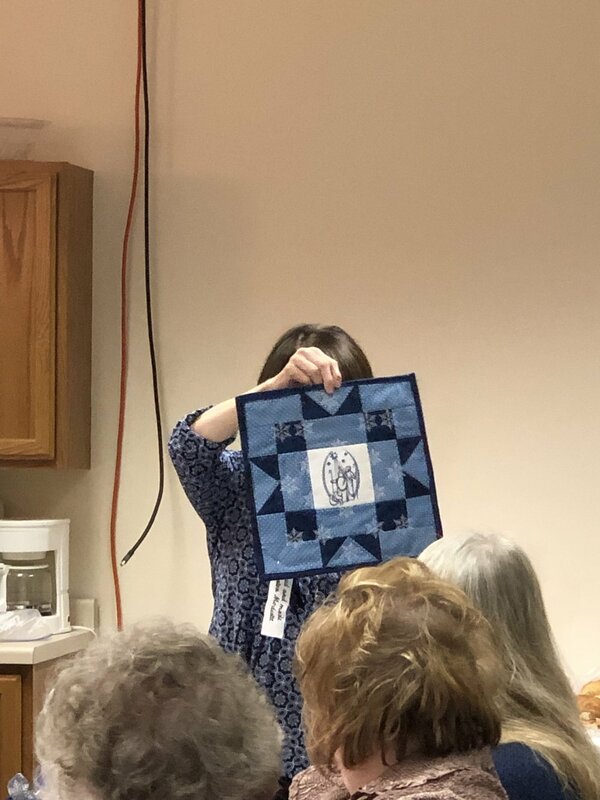 Susan Marth of Suzn Quilts presented the program for the June Meeting! 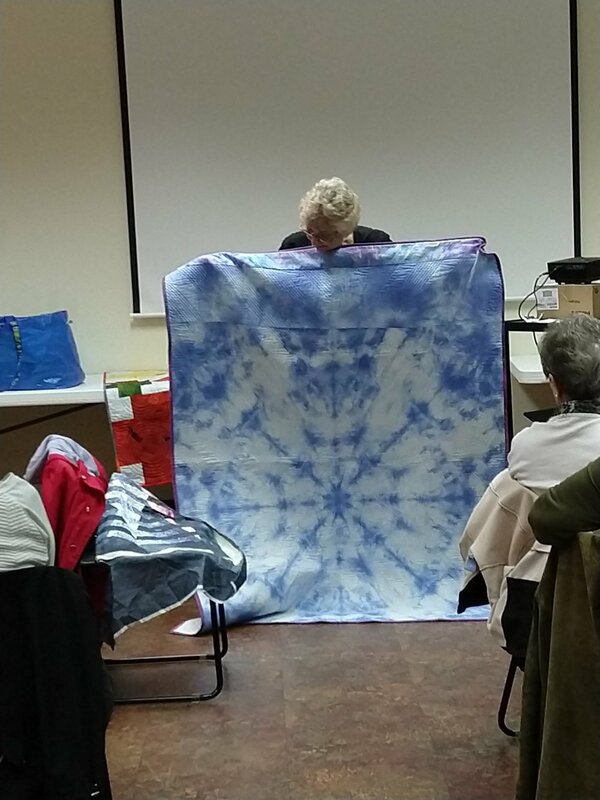 IVQG's own Vickie Alsene presented an entertaining program about one of her passions, fabric dying! 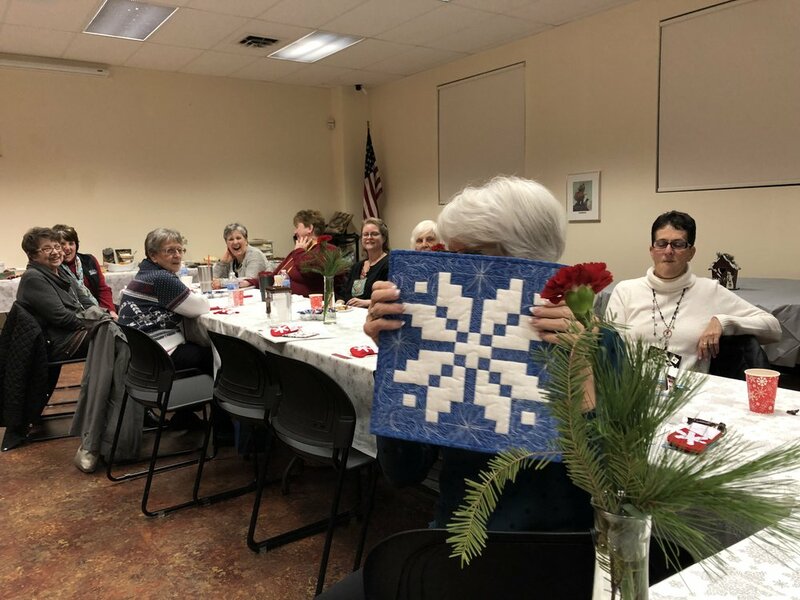 We had a great time at our annual quilt retreat at Pilgrim Park! We had the pleasure of hosting Bonnie Hunter this March! 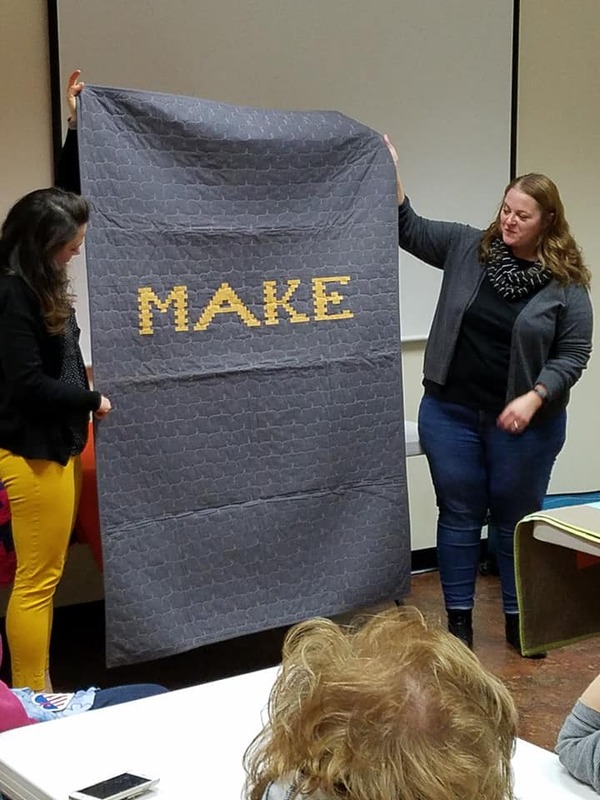 She taught a wonderful workshop on her beautiful Cathedral Stars quilt. We enjoyed her upbeat teaching style and learned so many cool, new techniques! We are so grateful to her and to everyone who came out to join us for the workshop. Many ladies brought their Bonnie Hunter patterned quilts to show her! It was such a great time! Bonnie Hunter gave a spectacular program at our March meeting! We had guests from Arkansas, Missouri, Wisconsin, and all over Illinois here to see her! Her trunk show and stories were entertaining and inspiring. 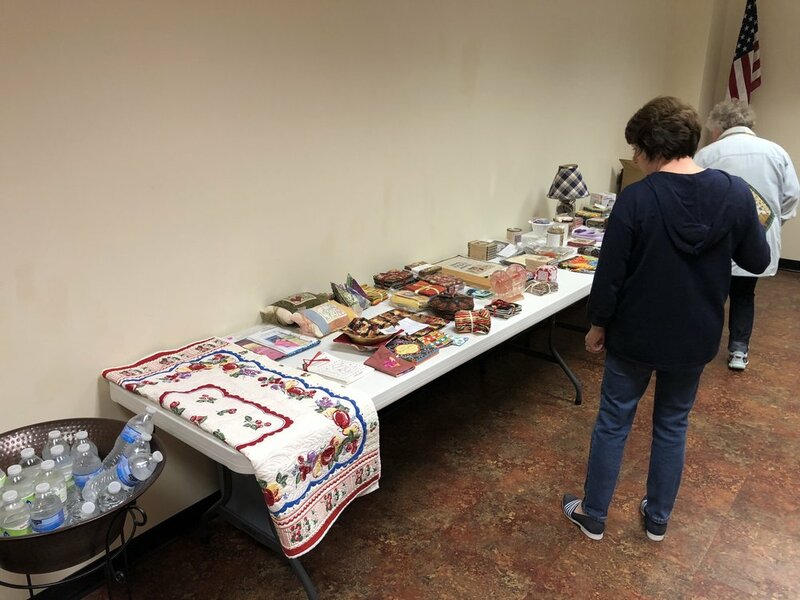 Bonnie brought a trunk show with some of her amazing quilts! Several ladies brought beautiful quilts they made from Bonnie's patterns! She was excited to see them! 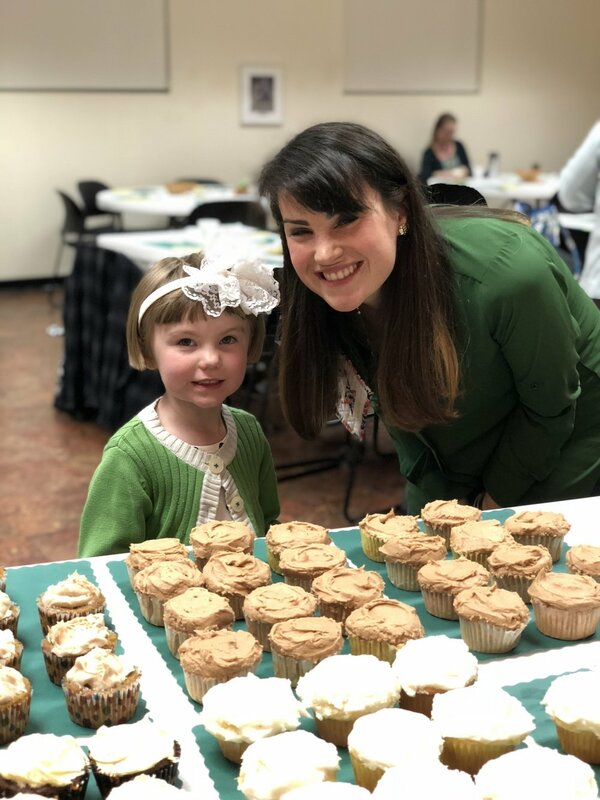 We always have a blast at our Sew-Together Days! 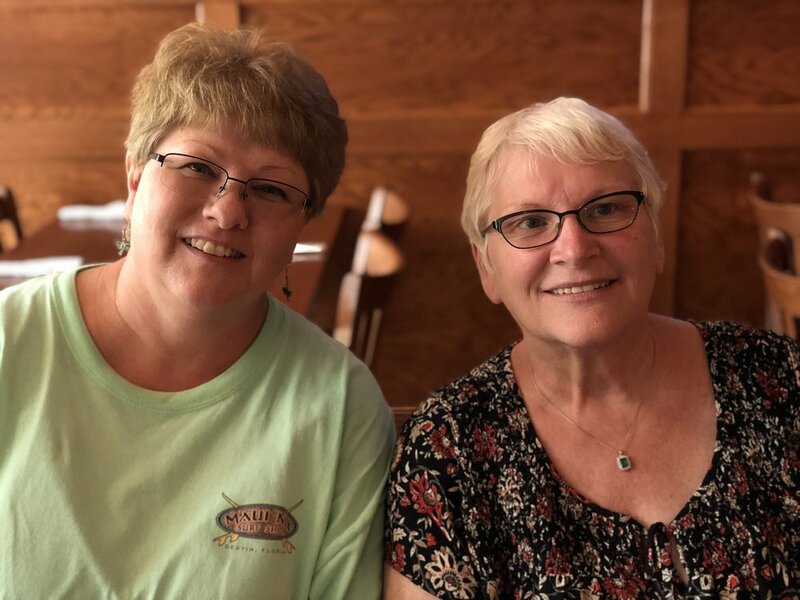 We sew all day, eat snacks, and enjoy each other's company! What could be more fun? 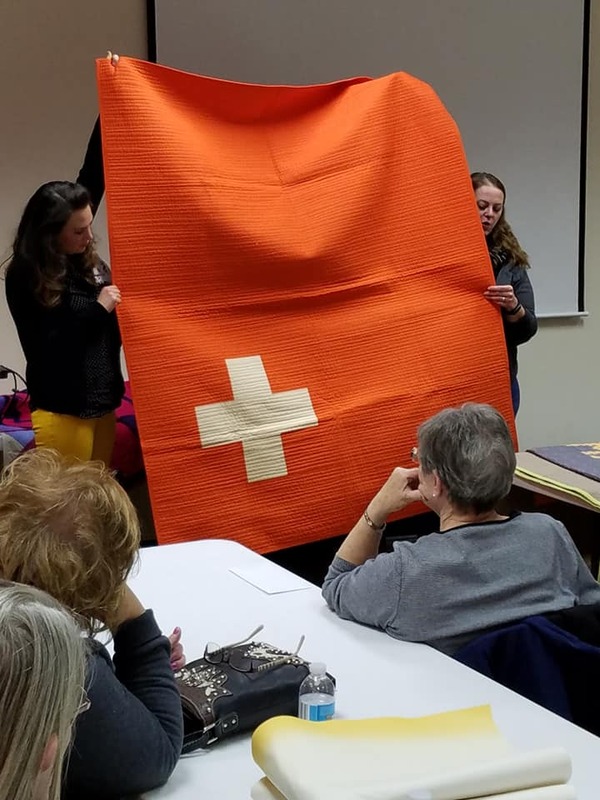 At our February Meeting, Karen Bailey put on the "Quilt Olympics"! We worked as teams to compete in speed needle threading, fat quarter toss, seam ripping, and spool shuffleboard! We had such a great time! Our January Sew-Together Day was great fun! 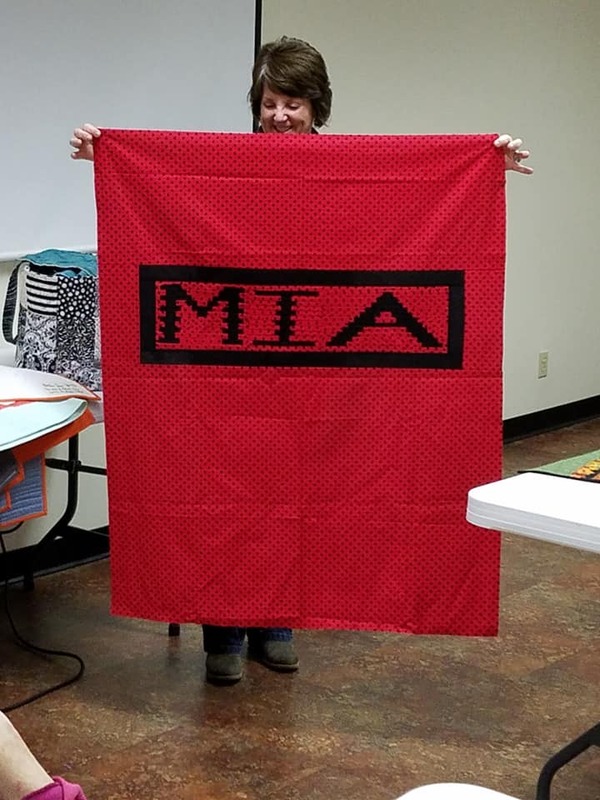 Beth Findley taught a pencil skirt class and much quilty fun was had by all! 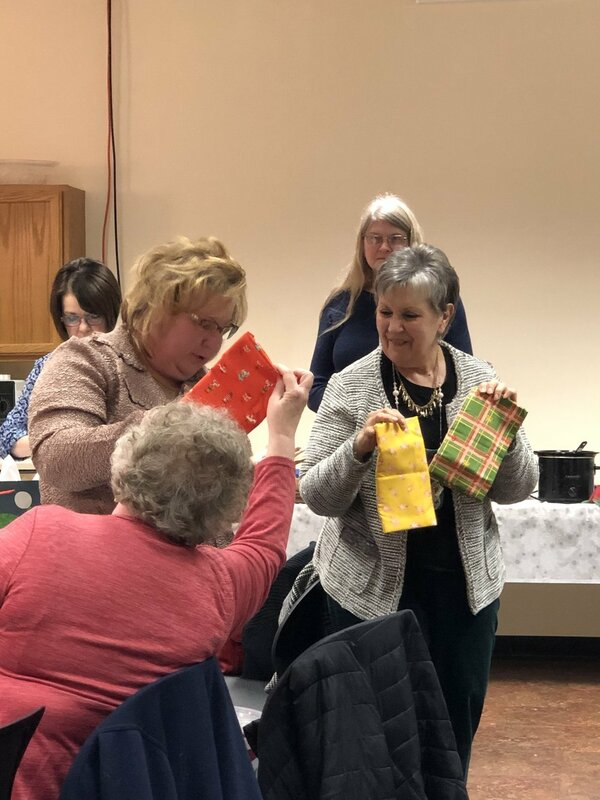 The Quilter's Garden quilt shop from Princeton, IL presented an entertaining program at our January meeting!